1920's Art Deco emerald and diamond brooch hand made in 14ct gold. Product code: ES7172 Categories: Sold Items, Sold Jewellery. 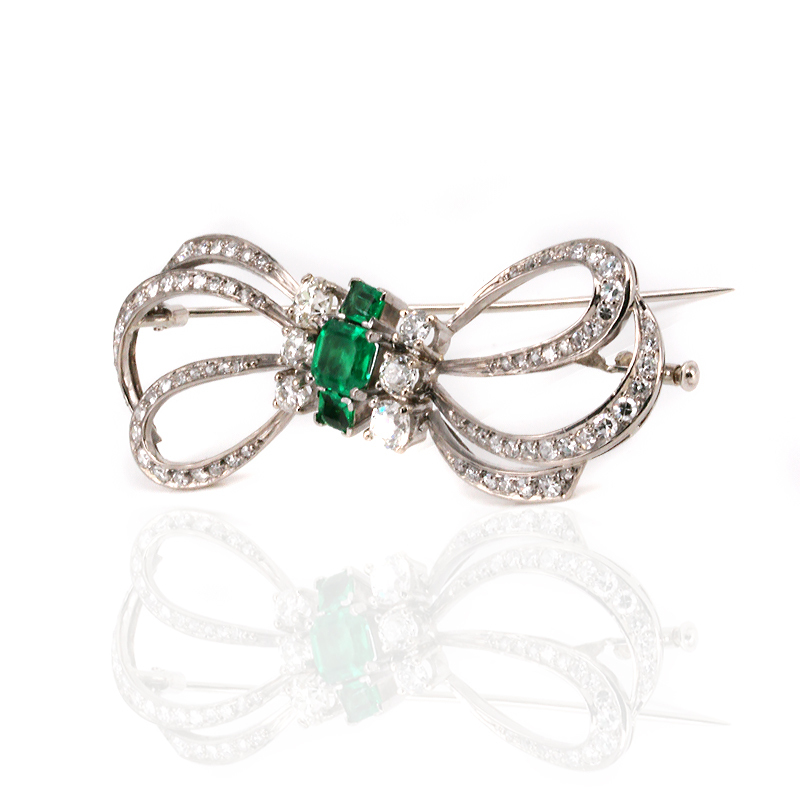 Very stylish and attractive, this 1920’s Art Deco emerald and diamond brooch is one that will complete any outfit and truly stand out for its elegance and beauty and is destined to always be admired for its beauty and sparkle from the emeralds and diamonds. 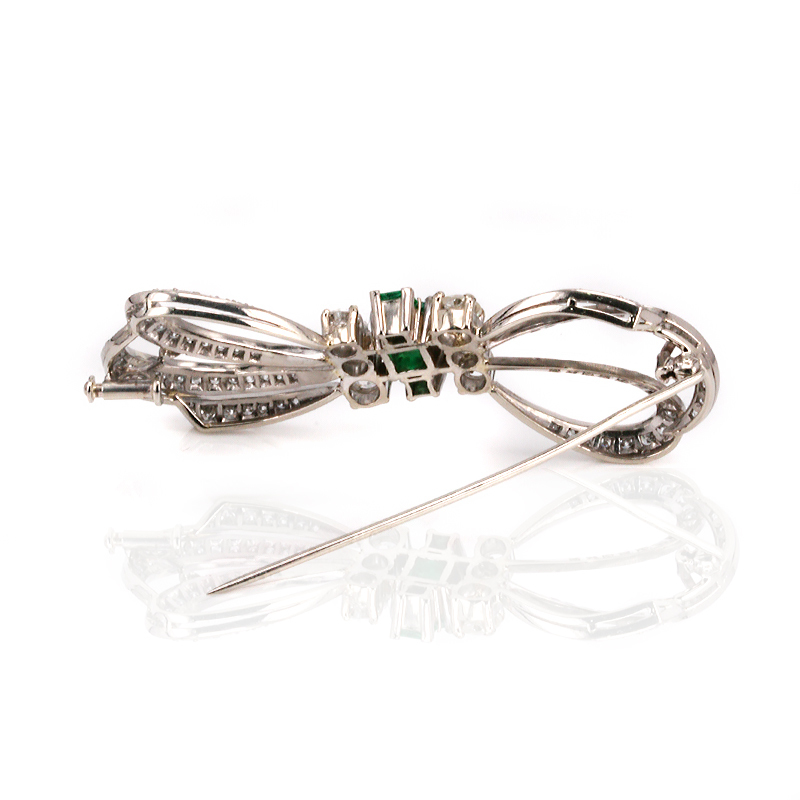 Hand made in 14ct white gold, the brooch is set with three natural Colombian emeralds that are a wonderful green and show why Colombian emeralds have always been considered the best in the world. The total weight of the emeralds is 1.30 carats, and against the white gold and diamonds, they really stand out. And to highlight this brooch even more, there are eighty four small diamonds flowing around the brooch and these diamonds total 1.25 carats and then there are six lovely European cut diamonds that total 1.46 carats. These diamonds and white gold truly highlight those gorgeous emeralds that stand out so well. Measuring 55mm by 22mm will compliment any outfit that it is worn on, and will always stand out in the crowd. With such an elegant and flowing design, this brooch is so typical of the Art Deco period and will always be treasured and admired for its beauty and elegance. 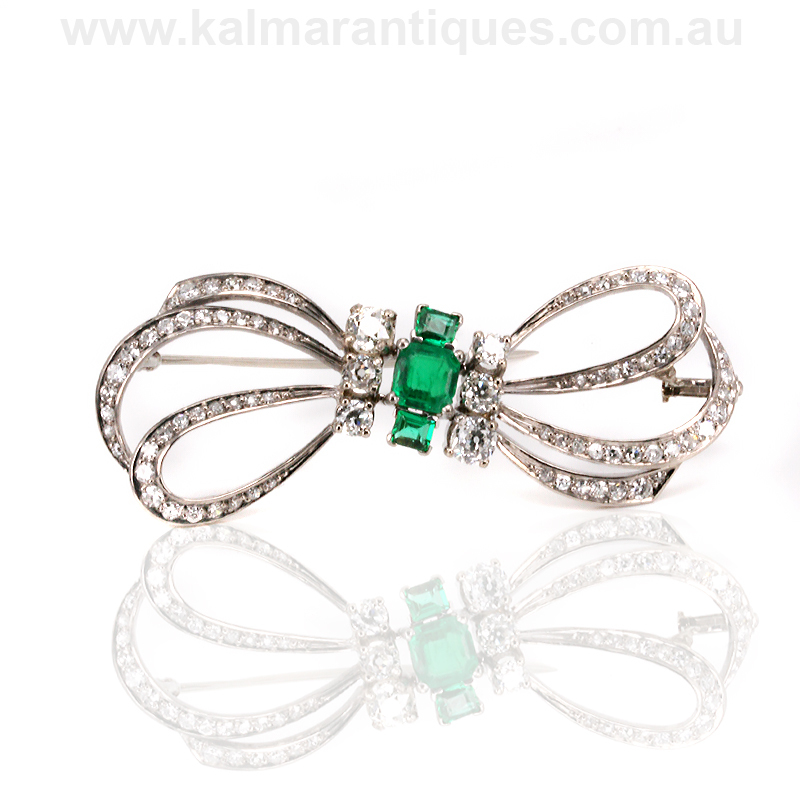 Tag: 1920's Art Deco emerald and diamond brooch.